Movie buffs surely has something to look forward to come February. They will be delighted to note that the 9th Spring Film Festival will be happening again soon. Film Development Council of the Philippines through its Festival Partnership Program and in cooperation with the Ateneo Ricardo Leong Center for Chinese Studies present the 9th Spring Film Festival, which features six contemporary Chinese films that span a diverse set of genres -- drama, comedy, animation, romance, and action. The Spring Festival is set to be shown from February 13-22, 2015 in Mandaluyong at the Shangri-La Complex as well as in selected universities across the country, including University of San Carlo in Cebu City, Ateneo de Davao University in Davao City, Xavier University in Cagayan de Oro City, Ateneo de Naga University in Naga City, and University of Baguio in Baguio City. From February 17-22, 2015, The 9th Spring Festival will also travel to all four FDCP Cinematheques in Baguio, Iloilo, Davao, and Zamboanga. Admission is free for all screenings at all locations. Action films aficionados will surely watch out for "The Grandmaster" helmed by the highly acclaimed filmmaker Wong Kar-wai. An epic martial arts action feature, "The Grandmaster" was meticulously planned and in production for six years. It was originally inspired by Ip Man, the legendary kung fu master who later went on to be the mentor of Bruce Lee. 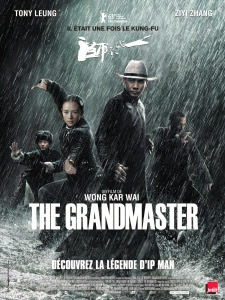 The plot of “The Grandmaster” centers on the rise of Ip Man during the golden age of Chinese martial arts, which took place in the chaotic Republican era fraught with division and war. The film stars a long time collaborator with Wong, Tony Leung, and the renowned actress Ziyi Zhang, both who give brilliant career performances. “The Grandmaster” garnered numerous accolades, including Best Film, Best Director, Best Screenplay, Best Cinematography, Best Film Editing, Best Art direction, Best Action Choreography, Best Original Film Score, among many others, at the 33rd Hong Kong Film Awards; Best Makeup and Costume Design, Audience Choice Awards, Best Visual Effect at the 50th Golden Horse Awards; and Best Film and Best Actress (Ziyi Zhang) at the 20th Hong Kong Film Critics Society Awards. animated film, "Legend of a Rabbit"--the first ever Chinese animated film ever to be shown internationally, directed by Lijun Sun. 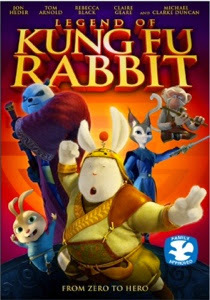 The story centers on the humble pancake chef rabbit Tu who is summoned by the dying Sifu, a messenger of Kung Fu Academy, to deliver a sacred relic to his daughter, Moli, back at the Academy in the Imperial City. Tu, for the first time, travels to the great city but discovers Moli and the Old Master of the Academy to be missing. Tu must fulfill his quest to deliver the relic and save the Kung Fu Academy from the Old Master’s enemy, Slash. “Legend of a Rabbit” won Outstanding Animation at the Huabiao Awards in China last 2011. Of course, the 9th Spring Film Festival won't be complete without compelling and heartwarming love stories. 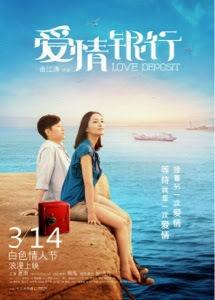 “Love Deposit,” directed by Qu Jiangtao, tells of an unusual way of communicating between lovers. The cafe “Bank of Love,” opened by He Muyang, lets lovers create a video-tape of what they are afraid of telling their partner. The tapes are required to stay in the cafe’s vaults for at least a year before the lovers are able to claim them; if the couple breaks up within the year, however, the tapes are to be destroyed. A young woman, Yu Xiaoyu, visits the cafe to pick up the tape her boyfriend recorded. However, when the cafe owner develops an infatuation with Yu, he puts obstacles in her path in retrieving her boyfriend’s tape. Among the cast of thefilm are Xia Yu (He Muyang), Jessie Zhou (Yu Xiaoyu), Jill Hsu (Bai Qian), Luo Jingmin (old policeman), and Wang Xiang (Fatty, Muyang's employee). 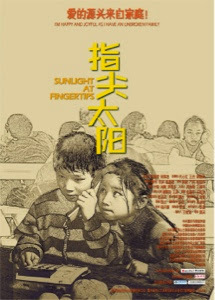 Then there's the family drama directed by Huang He called "Sunlight on Fingertips". The tearjerker film tackles the difference between urban and rural life, as a brother and sister does plan a scheme to get their parents working as cooks in the city to live permanently with them and their grandfather in the country. The plans of the siblings, Xiaohe and Xiaoyu, however, are cut short when a new law is set in place. The film tackles the struggles and emotional cost of children left in the country by migrant-worker parents. Some of the characters Zeng Meiling (played by Shi Xiaoyu), Wang Tao (Shi Xiaohe), Zhang Baolin (Li Qiu), Hong Hui (Li Shanshan), and Li Peiyao (Zhuzhu). A sort of ‘Chinese Sherlock,’ the drama “Beijing Blues” directed by Gao Qunshu follows the antics of Zhang Huiling, a veteran plainclothes detective in Beijing that leads a team specializing in catching pickpockets and scammers. One day, Zhang uncovers a scheme that utilizes children to extract money from fake car accidents. To get at the bottom of the scam, the detective must take down his arch nemesis. The famous thief, Golddigger Zhang --a feat that boils down to a battle of wits. The film won Best Feature, Best Cinematography, and Best Editing at the Golden Horse Awards in 2012, as well as Best Director at the Chinese Film Media Awards in 2013. 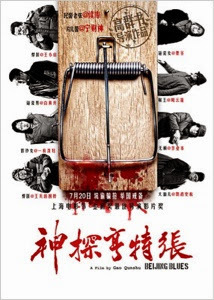 Directed by the leading figure of the fifth generation of Chinese cinema, Chen Kaige, “Caught in the Web” is a comedy-drama explores how the internet and social media’s ability to quickly dispense information can ruin reputations and transform public image over night. It follows a young white-collar worker Ye, when one day, she refuses to give up her seat to a senior citizen. The video of the incident gets videotaped by a journalist intern and goes viral, sparking debate on the internet. Ye gets a dose of internet-hate and develops stalkers and naysayers online, changing her life in ways she never imagined. The film won numerous awards from the 2013 Huabiao Film Awards which are Outstanding Film and Outstanding Abroad Actor for Mark Chao while Luodan Wang won Best Supporting Actress during the Golden Rooster Award on the same year. The 9th Spring Festival features, once again, some of the most exciting films in contemporary Chinese cinema for a Filipino audience looking to experience the culture of other shores through film.